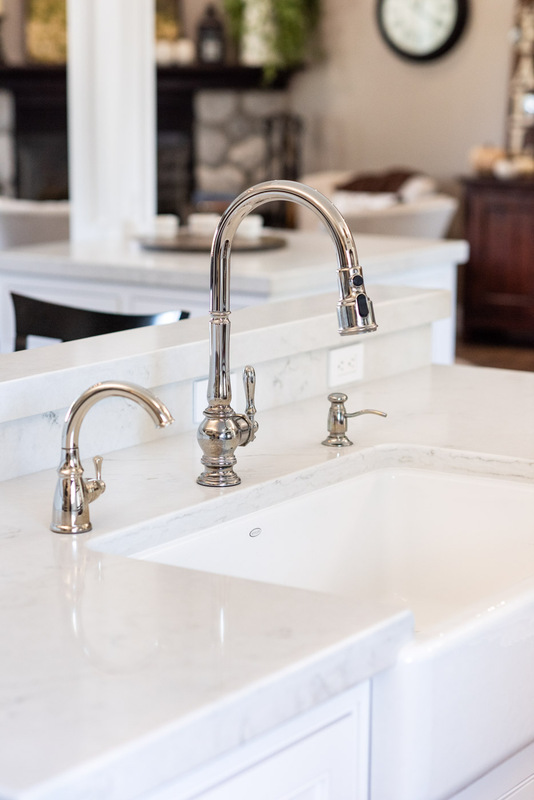 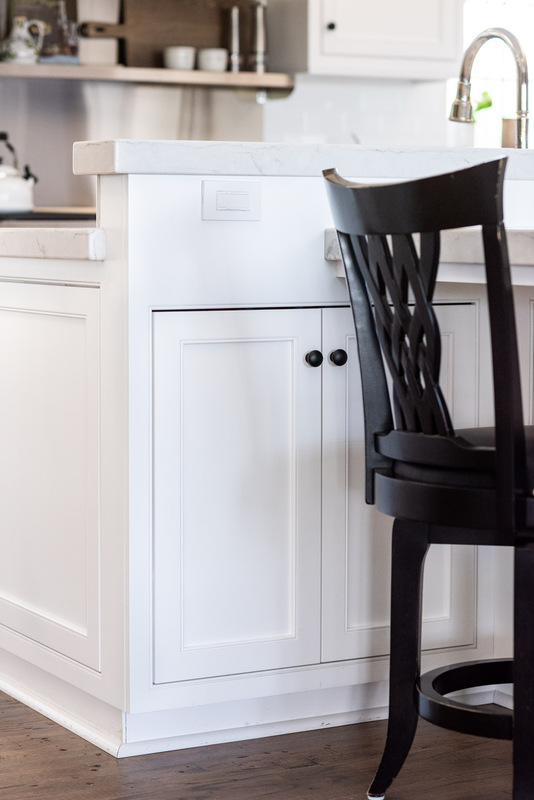 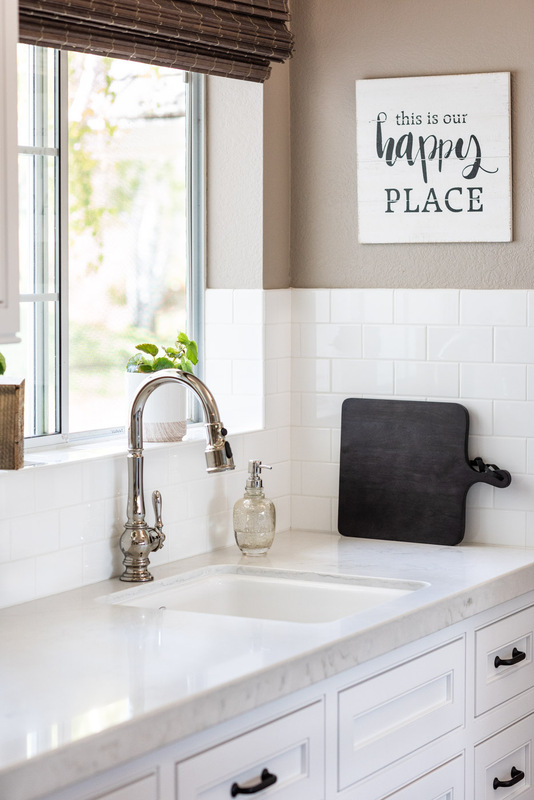 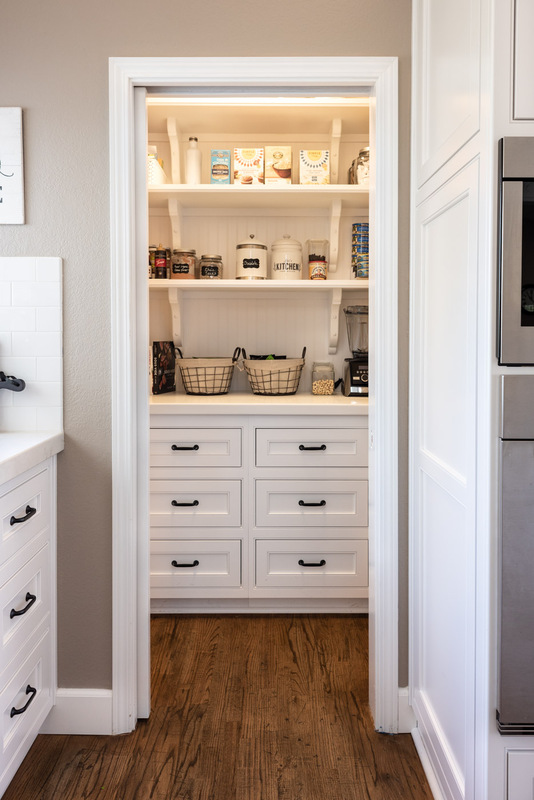 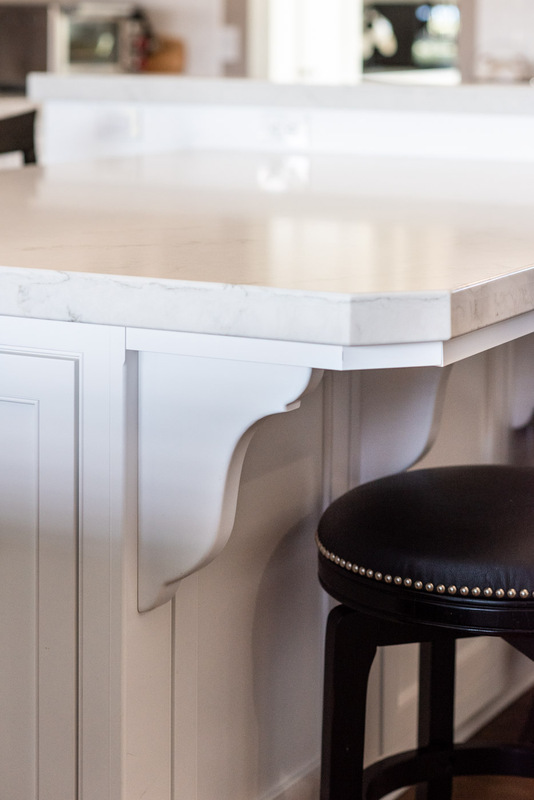 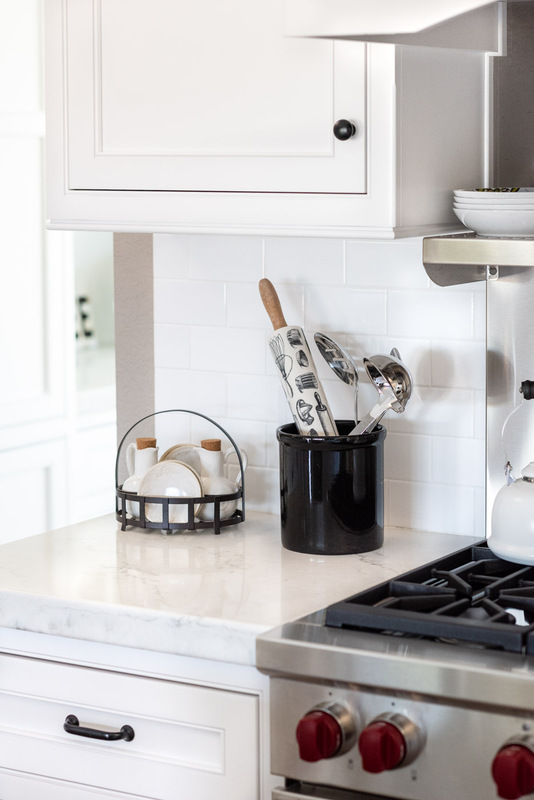 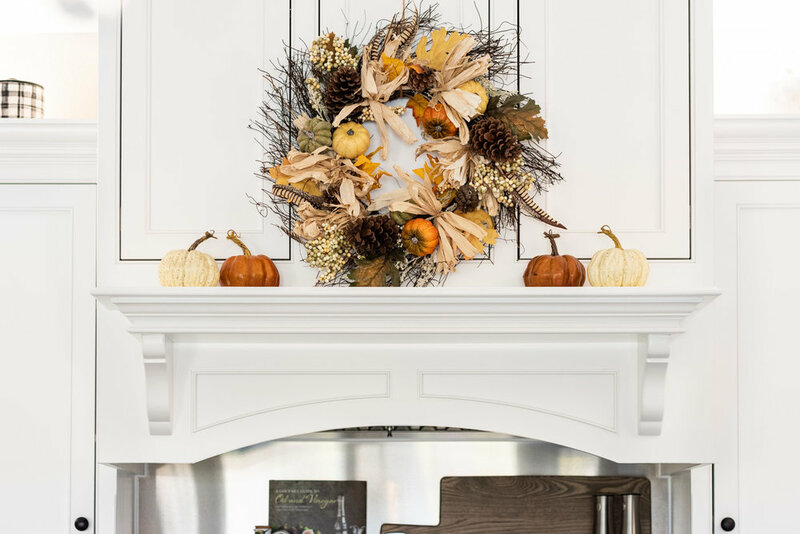 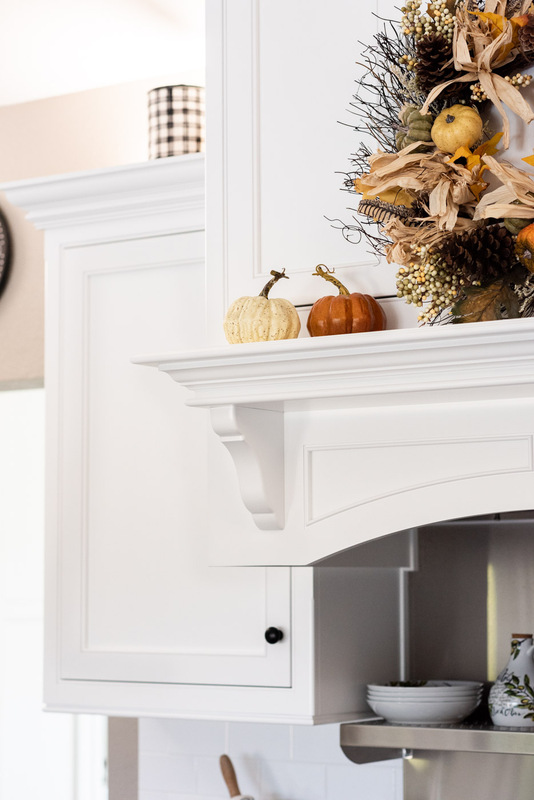 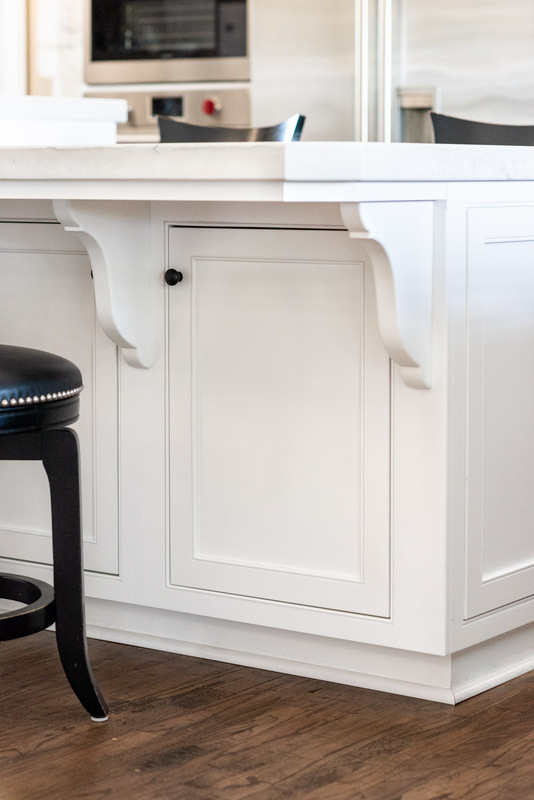 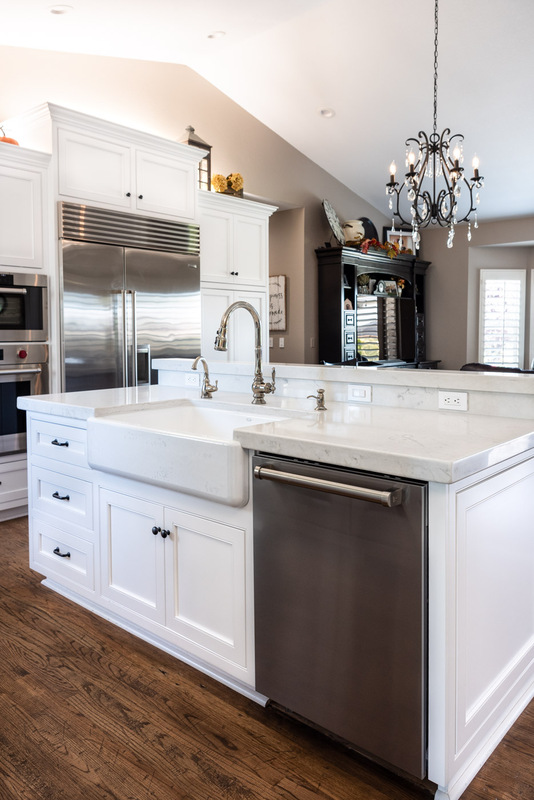 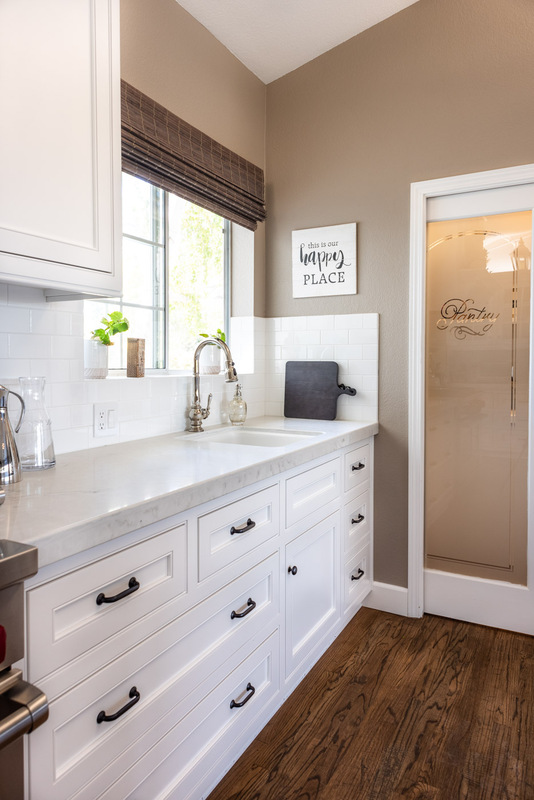 Transitional Country Cottage kitchen cabinets and countertops in Templeton, California — Sligh Cabinets, Inc.
An expansive kitchen design with a refined and welcoming feel. 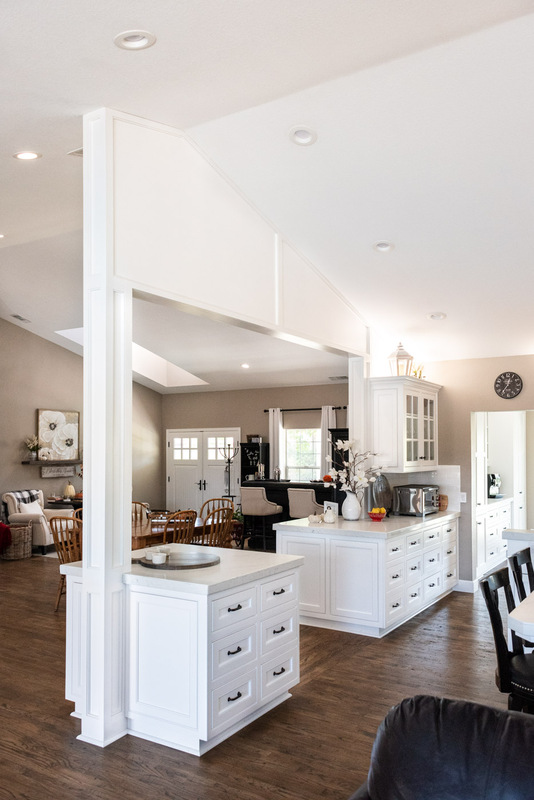 This expansive U-shape kitchen creates an open feel with space for entertaining, storage and food preparation. 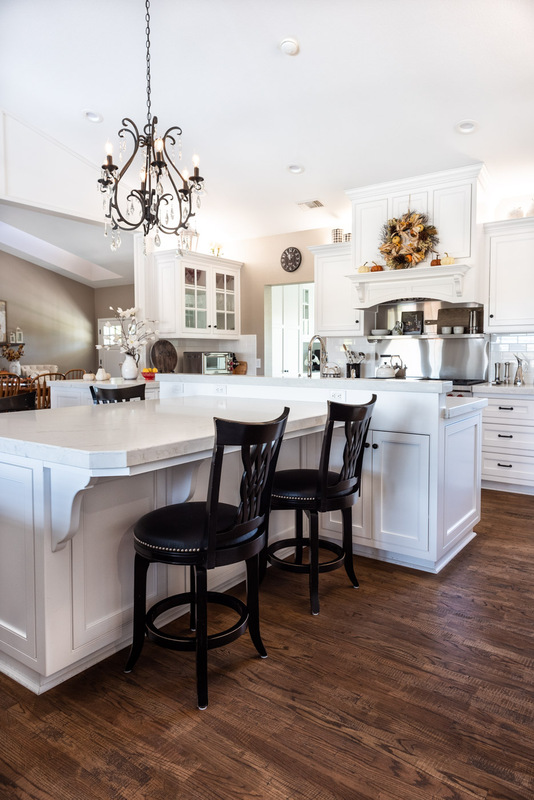 The large peninsula island with hidden cabinetry and bar seating maximizes storage while offering a central space to entertain. 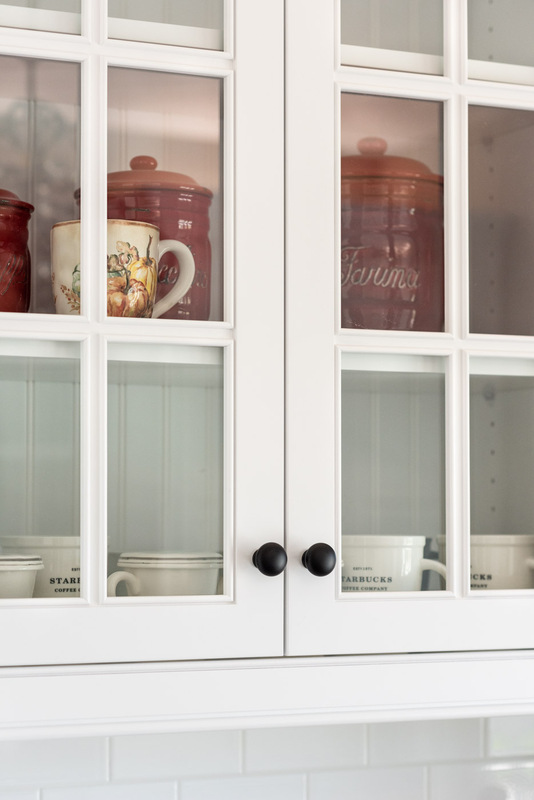 A quaint tea room includes a coffee bar on one wall and wine bar on the other, as well as plenty of cabinetry for organization and display.